After years of searching we have finally found the perfect label! Designed for the dry cleaning industry, these labels are printed with an indelible ink ribbon on tough ironable fabric. Use an ultra-hot iron without steam, and press the labels into the fabric for a permanent label. For absolute permanent installation, you can also tack the labels with a stitch or two. Contact us for samples. For hats, choose the Super-Sticky Labels. For bowties, we can print a smaller sized label. $0.25 per label and a $15.00 setup fee for each label order. Shipping will be assessed at current USPS rates. Order labels directly from your Charms account! These small labels (1.5in x .5in) are coated with a super-sticky adhesive to adhere to instruments, shoulder pads, theater props and more. 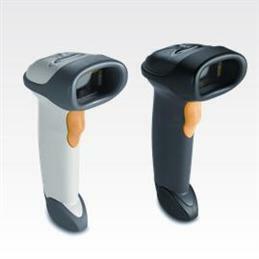 Due to the small size, we can only the print the barcode and one other bit of information such as description or id number. Contact us for samples. 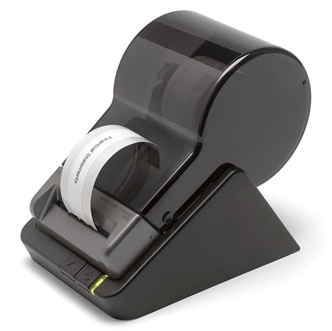 $0.10 per label and a $15.00 setup fee for each label order. Shipping will be assessed at current USPS rates. This little printer connects via USB and installs as a printer in your computer. 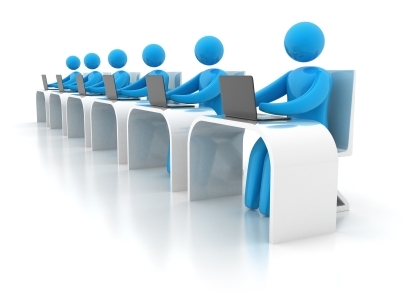 There are no ribbons to worry about, it prints via a self-contained thermal transfer process. The receipt paper produces a receipt approx. 2" x 6" directly from Charms. You can use this printer for many other purposes outside of Charms as well. Contact us for a sample receipt. Click the image for a brochure. Not compatible with Mac OS or other Apple products. 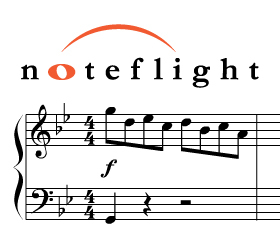 Noteflight, the global leader in online music notation software, is now available through Charms. Charms users now have the opportunity to create a private Noteflight community as part of your existing Charms account - using your existing Charms login! Noteflight for Charms users get full access to the premium features of Noteflight Crescendo - unlimited scores, 50+ high quality instruments, direct MIDI note entry and much more.